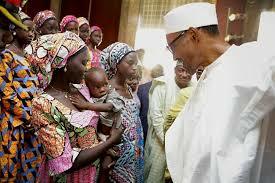 President Buhari once again promises to ensure safe return of remaining Chibok girls – Royal Times of Nigeria. 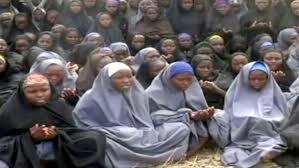 President Muhammadu Buhari has pledged that his government will not rest until the remaining Chibok girls kidnapped by Boko Haram terrorists in April 2014 are safely released. President Buhari renewed his commitment Monday in Katowice, Poland, at a bilateral meeting with Swiss President, Alain Berset, on the sidelines of the UN Climate Change Conference, COP24. The President thanked the Swiss Confederation for its efforts and important role as intermediaries to secure the release of some Chibok girls and assured him that the issue of the remaining kidnapped girls and other abducted persons will remain a key priority for the Nigerian government. Mr Buhari and his Swiss counterpart discussed joint strategies to ensure the safe return of the girls, building on the past successes of securing the release of some of the Chibok girls and other abducted persons in the North Eastern part of Nigeria.